Brilliant new compilation to commemorate the 20th anniversary of California indie label Matinée Recordings! To mark the occasion, Matinée artists from across the globe contributed previously unreleased, exclusive, or rare recordings to this special collection and the result is a certified pop classic. 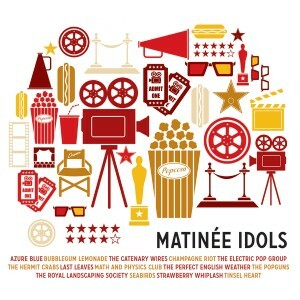 An impressive collection of some of today’s finest indie bands, ‘Matinée Idols’ is the perfect way to celebrate 20 years of immaculate pop and document the continued strength of the Matinée roster.